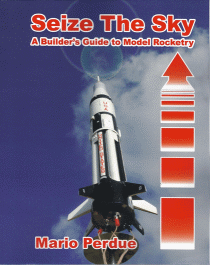 A Builder's Guide to Model Rocketry. I bought this book shortly after I saw on the Rocketry Forum that it was available. 222 pages containing a wide variety of subjects including Motors, Recovery Systems, Payloads, Trends, Work Area, Tools, Adhesives, Flying info, Building Technics and 25 building projects. A great addition to any rocketeers library. I would highly recommend it.